Fully cushioned, mid-weight density combined with a mesh pique instep yeilds the perfect year-round traveler. Embraces the foot for refreshing comfort. 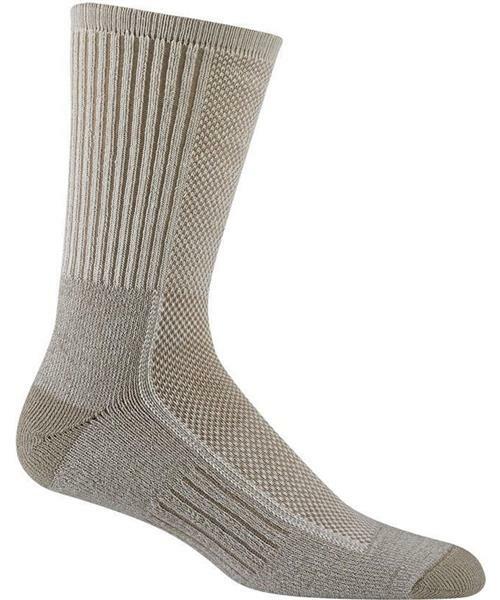 Cool-Lite Hiker Pro Crew Socks is rated 5.0 out of 5 by 1. Rated 5 out of 5 by Heartley from The very best Socks! These are the only socks that I have been wearing for years. They are not wool which I am allergic to. I use them for very long hikes as well as walking around the city. I have never had a blister. Nor do my feet get too hot or cold. These wash well ( turn them inside out) I cant say enough good about them. Even my dog likes to run around the house with one in her mouth.